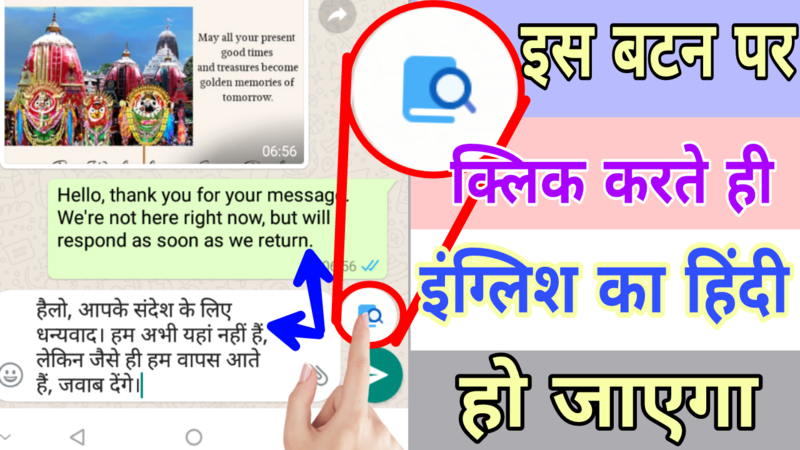 Hi Translate is a Whatsapp translate tool. 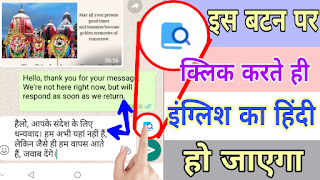 Free English translate to Hindi chat assistant.English translate to Hindi online. Hi Translate supports almost any chat application translation: Whatsapp translation, Message translation, Messenger translation.You can directly translate chat bubble content, input box content, APP text content. For India native language chat translation scene made a special optimization. When translated into Hindi and Hindi to English translation flow smaller, more accurate results. 2. Send the translated foreign language when chatting: input any language in the input box of the dialogue, drag and drop the floating translation ball to the input box, translate the text of the input box of the chat into the language used by the recipient, and directly send the foreign language anytime Say Hi to others. 3. Translate chat APP: Quickly double-click floating translation ball, translate APP for your native language, chat translation and foreign language learning one step faster. 4.Clipboard text translation: Copy the text, click the floating ball translation, translation of the text has been copied. Hi Translate currently supports 25 languages chat translation. Hindi Translation, Bangla Translation, Telugu Translation, Marathi Translation, Tamil Translation, Urdu Translation, Gujarati Translation, Kannada Translation, Malayalam Language translation, Punjabi translation, Chinese translation, Spanish translation, Arabic translation, Malay translation, Portuguese translation, Russian translation, French translation, German translation, Hausa translation, Japanese translation, Persian translation, Greek translation, Javanese translation, Thai translation.